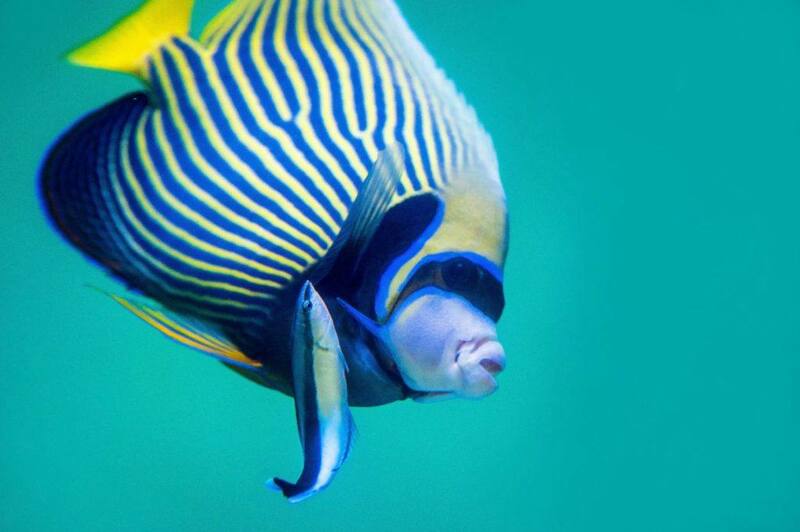 You are at:Home»Features»What is Cloudy Eye in Fish? It’s a bit unusual from an outside perspective, but cloudy eye in fish is a fairly routine issue. Sadly, it may also be a cause for concern. Here we break down what this condition is, how it affects your tank, and how to resolve the issue. If your fish have cloudy eyes, this guide will ensure you’re well equipped to handle the situation. 1 What is Cloudy Eye in Fish? 2 Is Cloudy Eye in Fish Harmful? 3 Can You Cure Cloudy Eye in Fish? The structure of a fish’s eyeball is similar to that of humans. There is an outer layer, called a cornea, which protects the inner structure of the eye from damage. Below the cornea is the iris, which is used to adjust the light coming into the eyes. Behind the iris is the lens, which bends the light coming into the eyes for better perception. Unlike humans, the lenses in a fish’s eyes are spherical. This means that their vision is incredibly clear in the middle, but gets very fuzzy toward the edges. Behind the lens is the retina, where the light is processed, followed by the optic nerve, where the processed information is sent to the brain. When a fish’s eye is damaged, the cloudiness may occur in either the outer eye (consisting of the cornea) or in the inner eye (consisting of the rest of the eye structure). Generally speaking, outer eye damage is less serious than inner eye damage. As such, it’s easier to cure! Is Cloudy Eye in Fish Harmful? The presence of white film on fish eyes isn’t a cause for panic; cloudy eye isn’t an illness in and of itself. Rather, it’s a symptom. It can be a sign there is something more serious going on in your tank, and that you need to safeguard against the situation worsening. Can You Cure Cloudy Eye in Fish? Once you notice that your fish have cloudy eyes, is there a cure? Thankfully, cloudy eye will normally go away on its own once the cause for it has been eliminated. Diseases and illnesses, brought on by poor water conditions or parasites, can easily be fixed by cleaning your tank and administering medicine to your fish. Treatment will depend on the cause of the water condition and the illness. However, it is possible that your fish’s eyes have been so impaired that the damage cannot be reversed. In this case, the best course of action is to prevent further damage and to keep your fish comfortable. You can indeed prevent further damage, as well as damage to other fish’s eyes, if you act quickly. By determining the cause of your fish’s cloudy eyes, you may be able to cure the early stages. 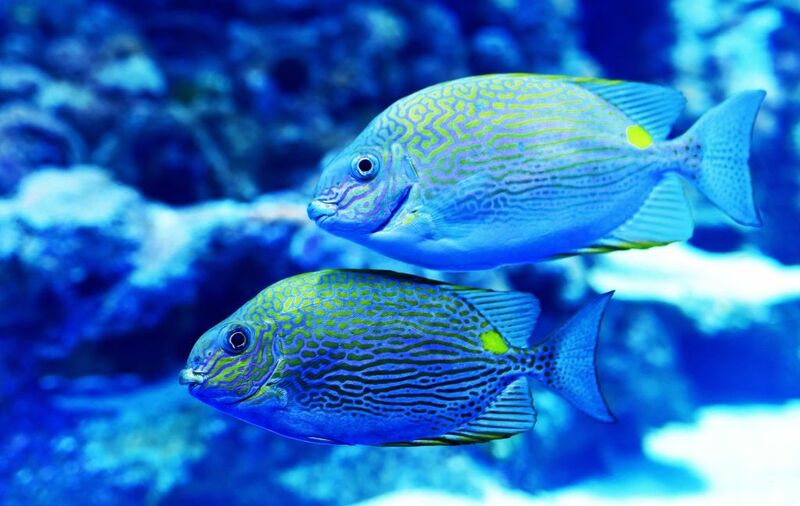 If you narrow down the reason behind your fish’s cloudy eyes, then you can take steps to eliminate the cause and return your tank to full health. When your fish develop cloudy eyes, be sure to confirm that this isn’t normal for their exact species. There are a couple of fish species that have naturally cloudy or milky eyes. For example, goldfish cloudy eye isn’t an issue, since this is a part of their anatomy. Species of pufferfish and rabbitfish have a naturally white sheen on their eyes. To ensure that cloudy eye is natural, the white sheen should be present in both eyes and would have been present since their hatching. Once you have ruled out natural causes, determine the severity of the cloudy eye. If just one eye has a milky sheen, then it means the condition is likely the result of a physical injury, such as a scratch or a bump on your fish’s eye. This type of injury usually clears up on its own, so long as no bacterial infection sets into the eye. In this situation, you may also notice a more superficial milky sheen in your fish’s eye, as the cloudiness will only be present on the surface of the cornea and wouldn’t involve the pupil. If this is the case for your fish, try to determine the cause of the physical injury. 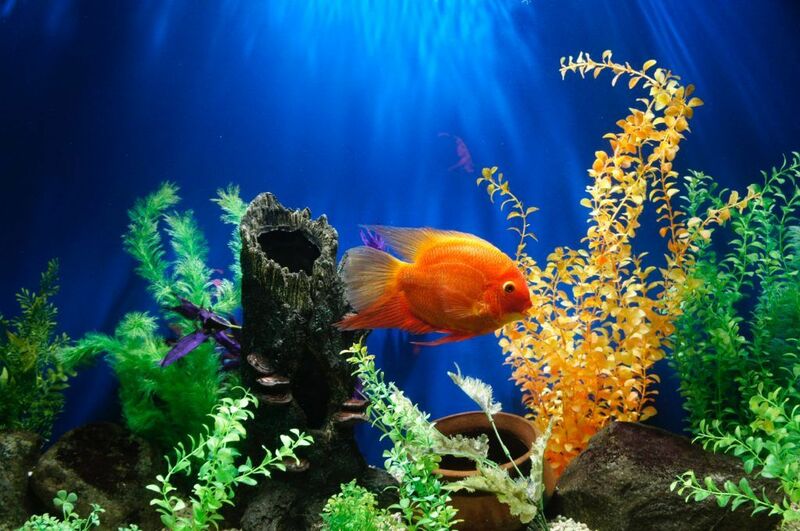 If it’s something that you can fix, such as a sharp angle on your aquarium’s décor, remove it. Other than objects, damage to the eyes can also occur due to scuffles with other fish. Injuries of this nature will clear up on their own, as long as the fish is otherwise healthy and well-fed. You should consider removing aggressive species from the tank if the issue persists. If your fish has a milky sheen on both eyes, however, chances are it was not caused by a physical injury. In this situation, it’s best to look at other reasons behind the cloudy eyes. A lowered immune system can result in cloudy eyes, specifically due to an infection. The most common cause of infection is bacteria, which often comes from a lack of maintenance in your tank. In this case, a good antibiotic medication will take care of the infection. Infections, whether they’re caused by bacteria or parasites, can be easily prevented with regular tank cleanings. You should also ensure that no harmful bacteria and parasites come from outside your tank. Make sure to quarantine new fish before moving them in a community tank, ensuring that they are not sick or harbor diseases. 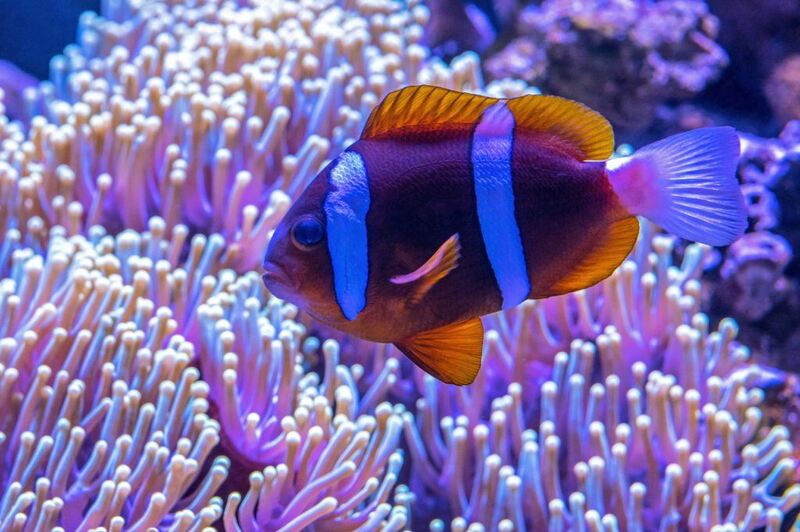 Thoroughly cleaning anything that goes into your aquarium, like décor, plants, and tools, is also a good way to ensure that you aren’t introducing harmful organisms into your tank. Here’s a video explaining more on fish with cloudy eye. Flukes tend to come with poor tank conditions and may be harder to deal with than just a dirty tank. Before setting off to rid your aquarium of flukes, note that there will always be a presence of flukes in your tank. They are akin to bacteria; it is hard to remove all traces of them. Thankfully, a small number of flukes aren’t going to affect your tank. However, an outbreak of flukes in your aquarium is another thing entirely. A large number of them can be detrimental to the health of all inhabitants within the tank. They may cause a range of illnesses, which can result in deformities or death. The most common symptom of flukes is cloudy or milky eyes. Flukes will also damage the body of your fish, causing lesions, tears, and damaged fins. Before they can harm your fish any further, administer medication to your tank. Then, ensure that water conditions are ideal to keep down the population of flukes. A cataract refers to damage to the lens of the eye, causing it to become opaque. There are a few causes of cataracts: poor nutrition, infection, or genetic factors. Cataracts are also a natural effect of ageing in fish. 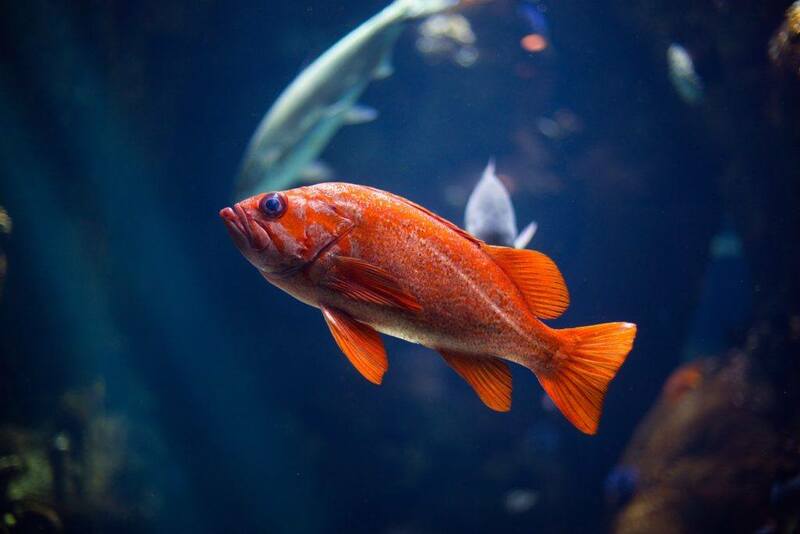 Just like humans, fish in their old age can develop poor eyesight and eventually cataracts, which makes it difficult for them to navigate and feed. In this case, there isn’t much you can do to reverse the damage in your fish’s eyes. Unlike the operations that can be performed on humans, there are very few treatments available for fish. In fact, this is one of the most common eye problems in fish, and something that you can do little to avoid. The best course of action is to keep your water conditions high quality and to avoid further contaminates. Cataracts can also be caused by parasites, like flukes, that damage the eye from the inside. Fish with eye flukes will have an enlarged eye (also known as popeye disease) with milky spots inside the iris. Unfortunately, there is no known cure for eye flukes. Once the infection has set in, there is nothing that can be done. Eye flukes often lead to blindness and are usually found in the wild. A poor diet can also lead to cloudy eye in fish. Specifically, a bad diet will lower their immune system, making them more susceptible to bacteria and infection. Cloudy eyes can also mean that your fish lacks vitamin A, which is crucial in maintaining their eye health. Modifying their diet will help to boost their immune system, ensure they have the vitamins required to operate in peak health, and also make them more comfortable. If your fish aren’t exhibiting any symptoms other than cloudy eye, this could mean their illness is less severe – to the point of not requiring medication. If the cloudy eye symptom is recent, chances are your fish is suffering from this condition because of a foggy fish tank. Poor water quality often leads to cloudy eyes in fish, either directly or indirectly, usually due to a weakened immune system. As a result, it’s a common condition in new tanks. Because poor water quality can be caused by any number of reasons, there are a few steps you need to take to lessen cloudy eye symptoms. If you notice that many fish within your tank are developing a milky sheen in their eyes, chances are you’ll need to perform maintenance. Purifying their water, ensuring a balance of all its necessary elements, and limiting the number of bacteria will have them recovering in no time. Here are some aspects of your tank’s water conditions that you should consider. When you forget to monitor the nitrogen cycle in your tank, it often leads to too high levels of ammonia in the water. This is common in new tanks. To avoid this, regularly maintain your tank and check the levels within, ensuring that there is an appropriate degree of ammonia and nitrites present to suit your unique species. Nitrate levels of no more than 20ppm are recommended. Regular water changes should also be made to ensure that no buildup of waste occurs. This video explains more about ammonia levels in your fish tank. If you are using tap water in your tank, make sure that chlorine and chloramine are removed from the water. You can remove chlorine by letting water sit for about 24 hours, allowing the chlorine to dissipate. You can also pump air through the water to make chlorine dissipate faster. Chloramine, on the other hand, can only be removed via water conditioning or heavy carbon filtration. These can often be purchased at your local pet shop. You should also note water conditions when adding medications to the tank. Ensure that the medication you’re adding is within the prescribed amounts; too much medication can cause eye problems in your fish, whether due to an adverse reaction to the medication or due to the effect of the medication on the water conditions. You’ve changed the water, but what now? How do you treat cloudy eye in fish? Before anything else, remember that cloudy eye fish problems usually clear out on their own. Be sure to make the adjustments recommended above, and then… just wait. Your fish will likely recover as their immune system fights off the issue. If it persists, be sure to evaluate your feeding routine and discern if gaps exist in the nutritional value they’re receiving. Finally, if that doesn’t help, you will need to cure your fish of bacterial infection using a strong antibiotic. You can ask your vet for a prescription or recommended brand, and then administer it according to the guidelines listed on the medication. The key here is persistence; a missed dosage can have your fish returning to square one. Cloudy eyes can be a routine problem for aquarists, especially for those who are just starting out with the hobby. While the symptom can be alarming, it’s no cause for panic. You need to act quickly to determine the cause of the problem, but it’s almost always an easy fix. Because it is often one of the first symptoms to appear, cloudy eyes can be a great way to gauge how well your tank is doing. In due time, with enough experience, you’ll see this symptom less and less. How do you deal with a foggy fish tank? Welcome to Fish Care Guide! We’re here to bring aquarists and fishkeeping enthusiasts the best tips, tutorials and recommendations for running a home aquarium. Browse reviews of the latest tanks, canister filters, and protein skimmers, or get advice on everything from aquascaping to maintaining your aquarium. We also publish regular profiles of the most popular freshwater and saltwater fish.